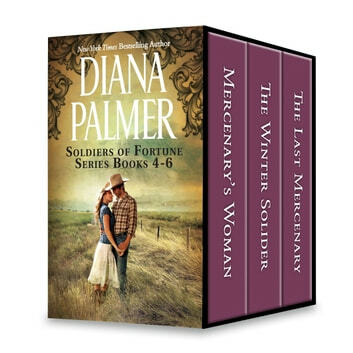 Don't miss these three adventures in New York Times bestselling author Diana Palmer's classic Soldiers of Fortune miniseries! 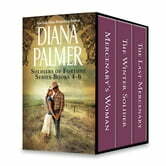 "Retired" soldier of fortune Ebenezer Scott was a bad boy…hardly suitable for girl next door Sally Johnson. When sweet-natured Sally's life was put in danger, Ebenezer fought to protect her. But she dreamed of a lifetime of love in Ebenezer's arms. Could she evade his ironclad defenses to wed her beloved mercenary? Everyone in Jacobsville, Texas, steered clear of taciturn Cy Parks. That is, except spirited Lisa Monroe. To shield her from a revenge-seeking desperado, the winter soldier claimed her as his bride. Cy found himself getting possessive of this alluring woman who needed his help…but who would protect the beguiling bride from him? Micah Steele was all set to retire his gun—until his sworn enemy kidnapped a woman from his past. Rescuing Callie Kirby was less daunting than trying to combat his desire for her. The trust between them shattered years before, but given a second chance, Micah only wanted to convince Callie to forget the past and surrender her heart to him—forever!